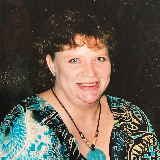 Melanie Maxfield, 56, of Smithville passed away Friday, July 27, 2018. She was born on October 11, 1961 in Smithville, MO. Melanie grew up in Smithville and graduated from Smithville High School. Melanie lived in the Northland area and Smithville all her life. She was preceded in death by her father, Robert Gerald Maxfield, and her mother, Gara Kathryn Summers. Melanie is survived by her son, Matthew Maxfield; brother Chris Maxfield and wife Becky; sisters, Shelly Cook and Bobbie Maxfield; several nieces and nephews, other relatives and many friends. Memorial Service: 7:30 p.m. Wednesday, August 1st at Hixson-Klein Funeral Home, Smithville, MO with visitation from 6:00-7:30 p.m. prior to the service. Donations may be made to the American Diabetes Association.